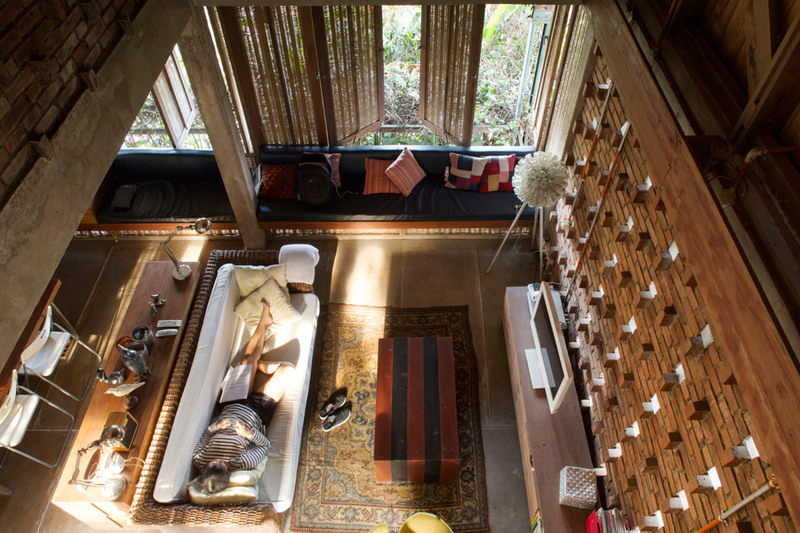 The architect Achmad Tardiyana does not use any glass window for his home. 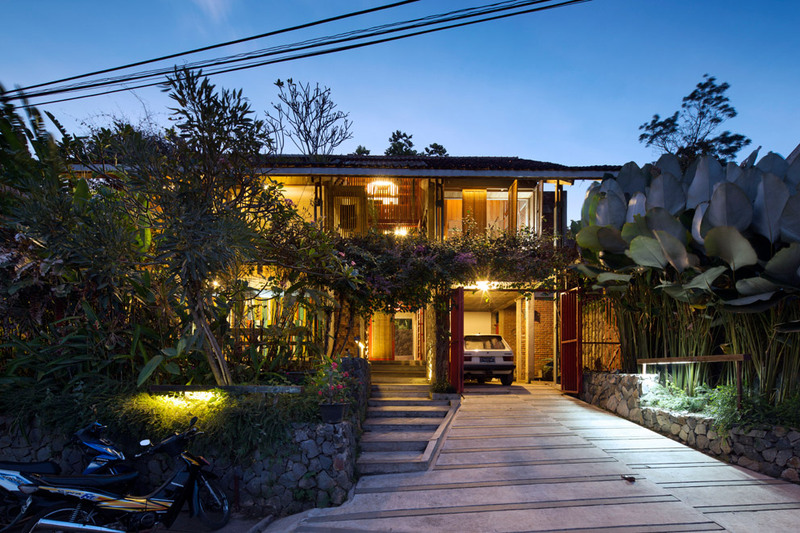 Rumah Baca, the private residence of architect Achmad Tardiyana, is located at Awiligar area in the north east of Bandung. In general, the development of northern Bandung has been closely monitored due to overdevelopment, which causes frequent flooding downstream, especially in the low lying southern plain of Bandung. Tardiyana designed his own house with a minimum impact on the natural as well as on the social environment. 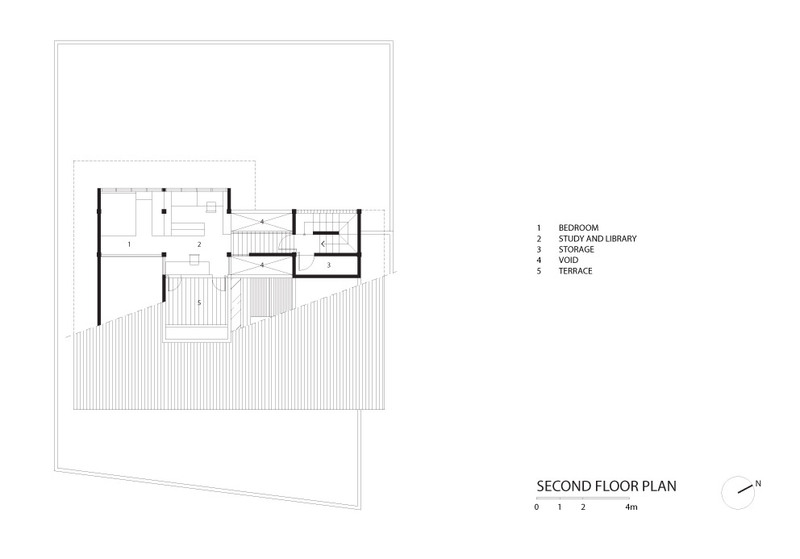 The house stands on a large plot and also served as an exercise in working with humble, organic and reused materials. In order to socially interact better, Tardiyana dedicated almost the entire ground floor to public activities, especially for the neighbourhood children by establishing a community library. This is how the house got its name “rumah baca”, meaning “reading house”. 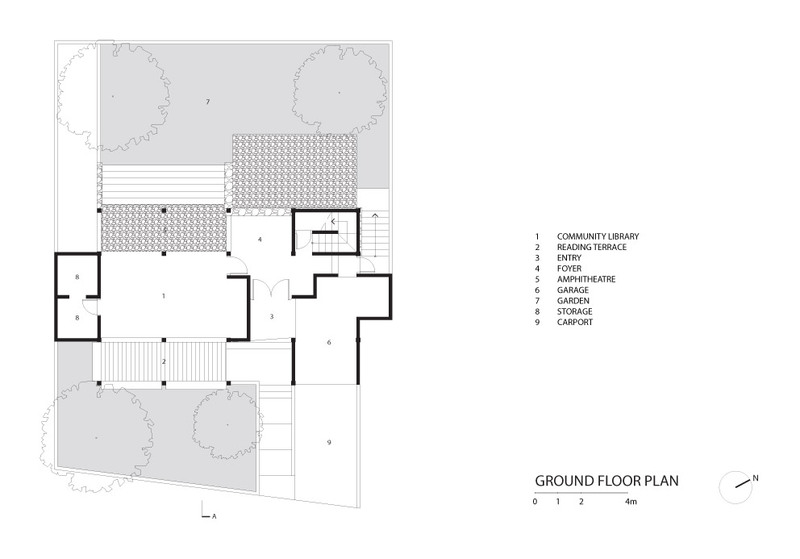 Equipped with an open collection and reading room, it also has an amphitheatre and a spacious patio. 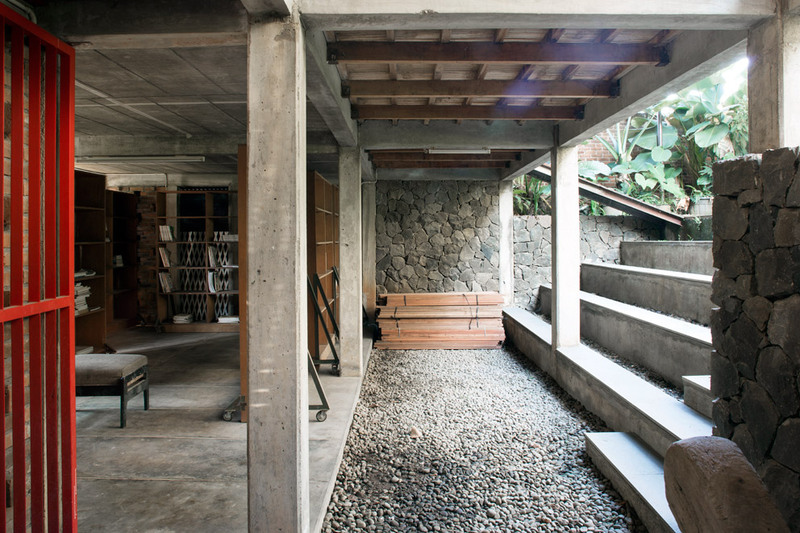 The library opens to the street as well as to the backyard, allowing a constant breeze to flow through it. 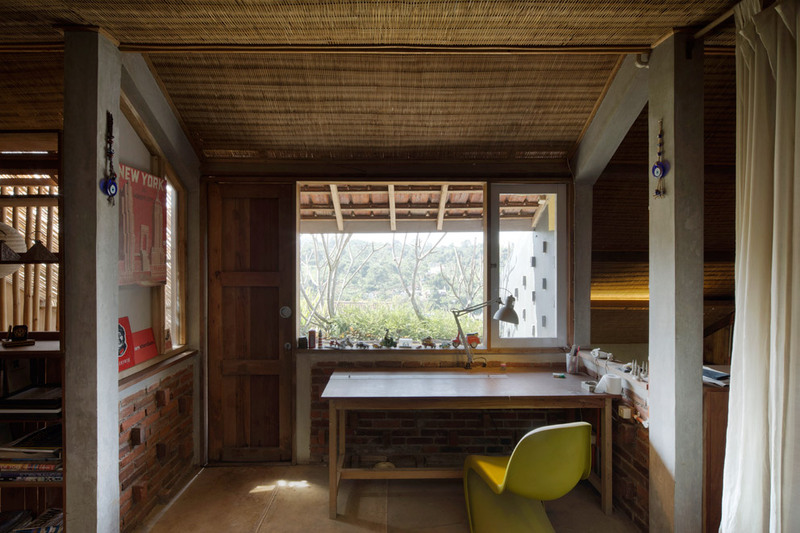 Tardiyana thoughtfully developed his architectural style by adapting an expansive simple gable roof to cover the playful volumes beneath such that it does not stand out among neighbouring structures. The exposed reinforced concrete posts and beams have modest spans, not exceeding 3 meters by 4 meters. Walls are made from unplastered terracotta bricks. 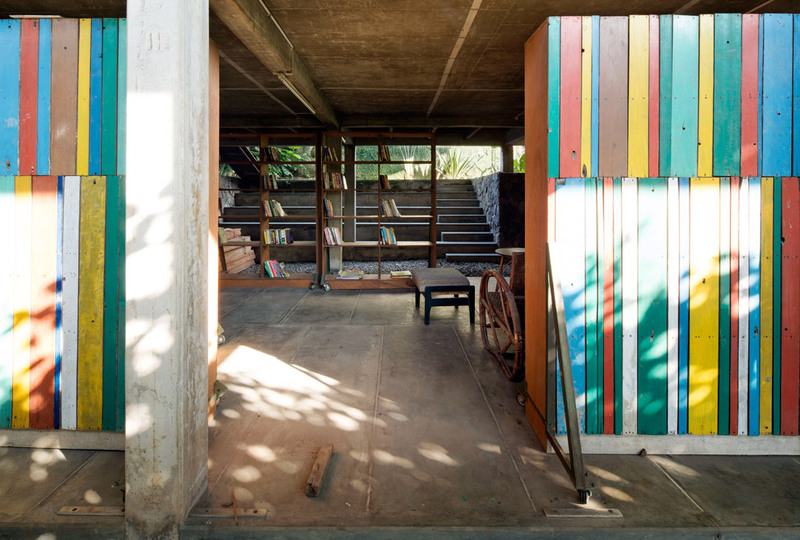 Around 70 percent of all timber planks used in the house were recycled. Tardiyana tried to minimize the use of glass. Instead, he ordered and trained local unskilled craftsmen to produce bamboo weaving panels for windows, doors, overhead partitions and ceilings. Applied almost throughout the house, the panels serve as privacy screens that allow a constant breeze throughout the day, and leave no particular space air-tight. 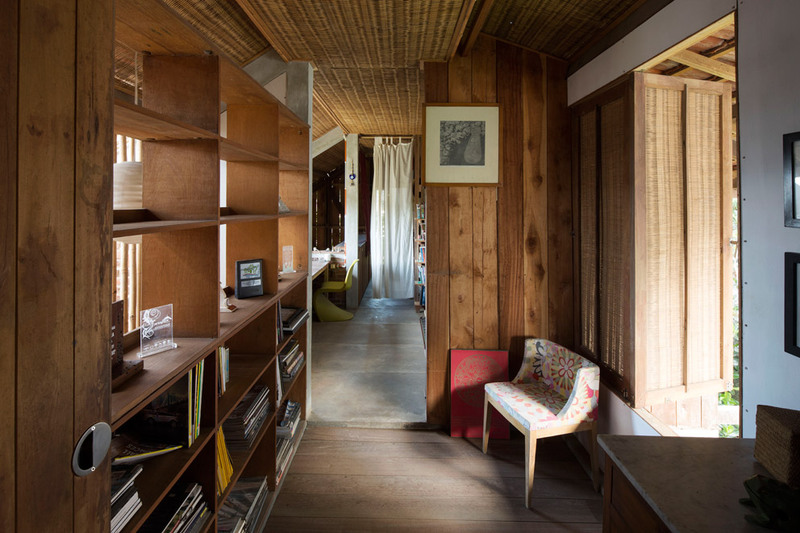 As the result, the indoors are constantly cool, cozy, and – unfortunately – dusty. 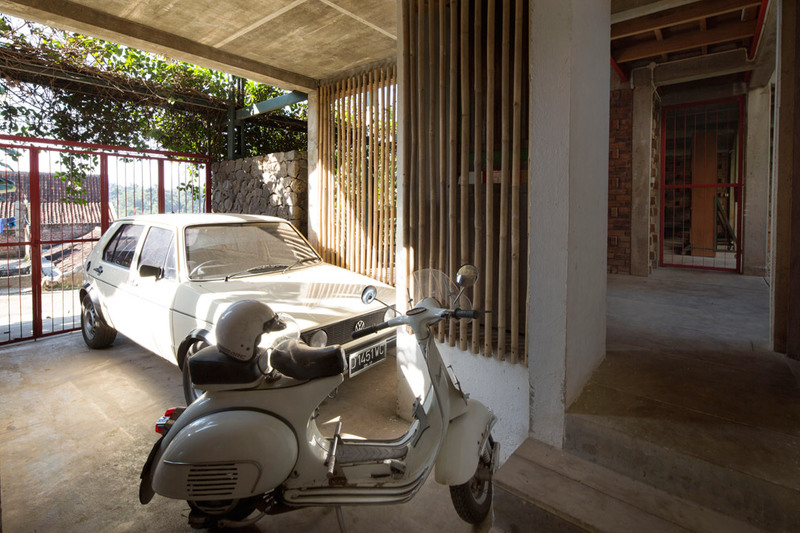 Achmad Deni Tardiyana or Apep for short is an influential figure among the younger generation of Indonesian architects. He completed a Bachelor’s at Insitut Teknologi Bandung (1986), enrolled as a postgraduate at Washington University (1993) and obtained a Master’s in Urban Design from the University of New South Wales, Sydney (1999). since 1988, his career has straddled a broad spectrum including teaching and practical work as an architect. From 2004 onwards, he has been director and partner of the Urbane Indonesia architectural company. Apep has been closely engaged in a rich range of architectural projects, spanning simple private houses, cultural buildings, commercial buildings, high rises, community projects, mixed-use complexes and urban planning developments. Tues., Thurs. – Sun. 11 a.m. – 6 p.m., Wed. 11 a.m. – 8 p.m. The text is reprinted by Stylepark with kind permissions of the D.A.M. using selected excerpts from the exhibition. The ground floor is open to the public. In the public areas of the ground floor a library and a small theater have found their place. 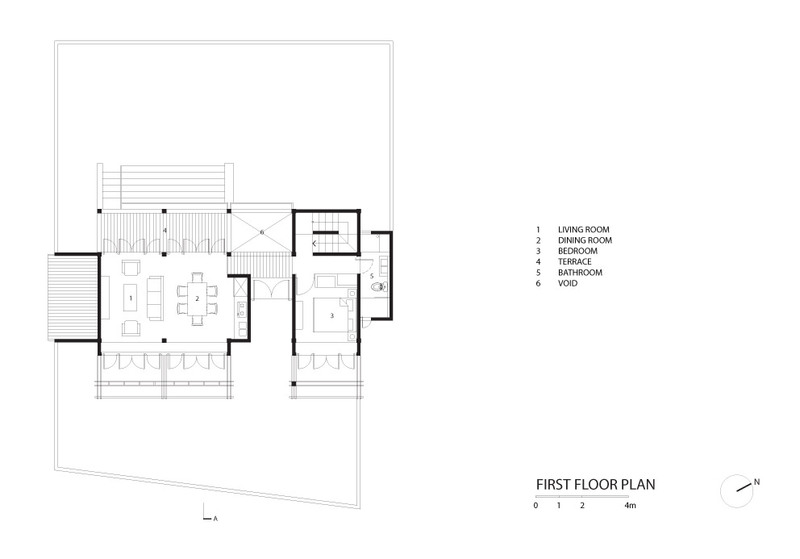 On the upper floors are the private rooms of the architect located. The holes in the brick wall ensure permanent ventilation. 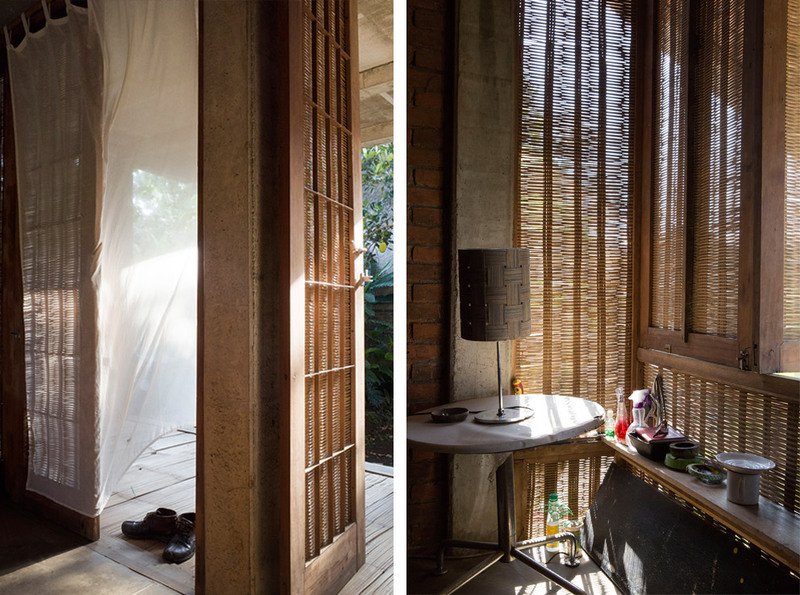 Tardiyana had bamboo weaving panels for windows, doors, overhead partitions and ceilings produced. The exposed reinforced concrete posts and beams have modest spans, not exceeding 3 meters by 4 meters.